We have Mr. MPB’s first ever pair of skates. They were passed onto to Little MPB when he was born as his grandmother had been saving them. At the time were told they would be Little MPB’s first pair of skates. So, we just assumed they’d fit. 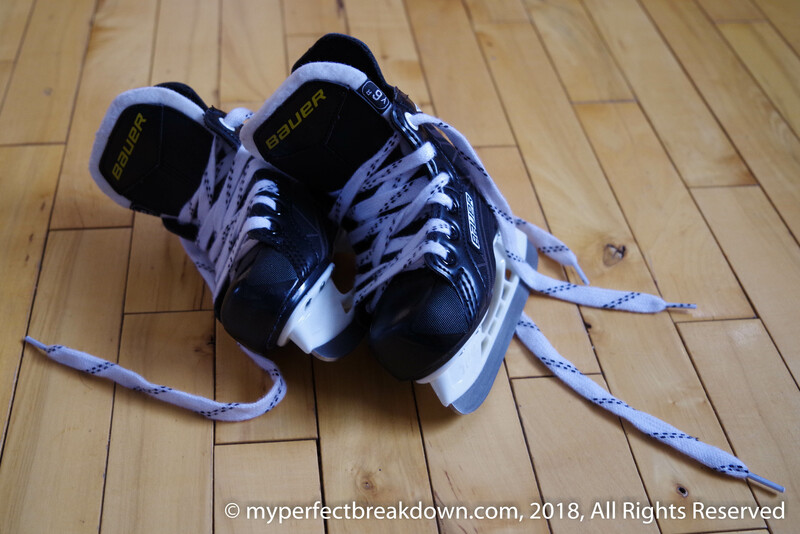 It turns out it’s a good thing we checked the size before his first skating lesson as Mr. MPB’s first skates are a size 10. Little MPB wears a size 6. It turns out Mr. MPB started skating when he was 4 or 5 years old, and Little MPB is barely 2 years old. Needless to say, there is no-way Mr. MPB’s first pair of skates will also be Little MPB’s first pair of skates! (We will of course save them for Little MPB when he’s big enough to wear them, but they just don’t fit now). So, we had to go skate shopping. It turns out size 6 is a very hard skate size to find. But, I am absolutely convinced that they are the absolute cutest, most adorable things ever! And let me tell you, Little MPB was beaming with pride and excitement when he tried on his first ever pair of skates. He was determined to walk around the store in them (with some help from us) and refused to let us take them off of him. He is going to love skating lessons with his daddy! And this mommy’s heart is going completely melt! Awww baby skates! (Also: could that be more Canadian???). They ARE adorable!! Baby shoes are my weakness!! I love imagining father and son on the ice together, continuing a legacy <3. Adorable. Absolutely adorable. Please please please please please send me a picture of him on the ice!!!! so cute. my daughter (almost 5 1/2) has been asking to go ice skating…I should take her! Oh my goodness I love you Candians so much 🤗 too cute! So cute! I figure skated for 10+ years and can’t wait to get McLovin on the ice! Hope he enjoys it!